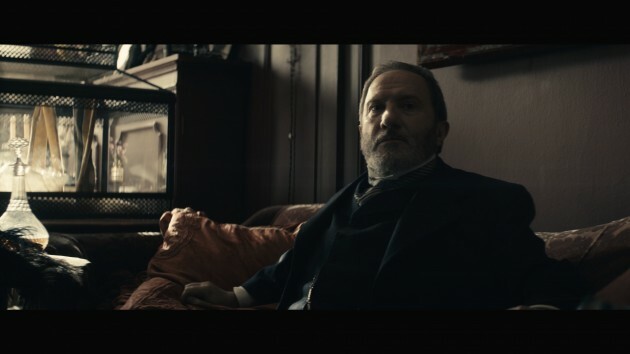 Glynn Speeckaert shares his time between feature-length French-language and English-language films, but he also shoots many advertisements all over the world. Amongst his best-known films are his collaboration with Xavier Giannoli (“In the Beginning” and soon-to-be-released “Marguerite”), Koen Mortier (“Ex drummer”) and Guillaume Galienne on the comedy that won the 2014 César award for best film (“Me, Myself, and Mum”). His name will soon be on the film posters of Fred Grivois’ “Through the Air” starring Reda Kateb and Ludivine Sagnier, as well as “Moonwalkers”, the first feature-length film of advertisement director Antoine Bardou Jacquet. What were your visual choices? When I read the script, I immediately imagined the film would take place in winter. The director Fred Grivois and I changed a lot of scenes from daytime to nighttime, or just adapted them to the strange light that you find in the Nordic countries. The type of grey day that makes people leave the lights on inside all day long… It’s not something I do often, but I think it worked really well for this film. Amongst the influences that I could cite, even though it’s sort of “The Reference” for cinematographers, is what Roger Deakins did on Denis Villeneuve’s “Prisonners”. 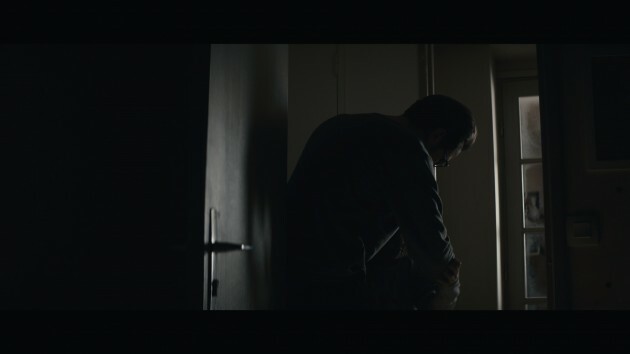 A chilling film, with those tungsten lights combined with the very cold sets. How did you choose to light the main sets? 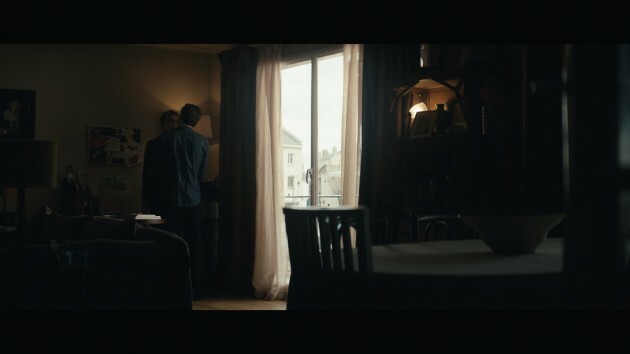 For example, there are a lot of scenes in the protagonist’s apartment, for which the producers rented a set in a little village near Paris. Although the entire street had already been rented in order to set up cranes with 18kwHMI, I ended up opting for something radically different, in order to create barely overexposed backgrounds and very soft lighting without any long shadows. I simply used Goya 4 kW set up with Chimeras in order to ensure continuity from the balconies. Actually, during daytime, we filmed with very minimal lighting indoors, and those ambiences allowed me to continue filming at the end of the day while the sun was setting. Another detail is that I would moisten the windowpanes for every scene, in order to suggest rain and the humid winter. I did that in the apartments and in automobiles, in which we also filmed quite a bit. What were your choices of lenses to go along with this lighting? Because I was working with that extremely soft lighting, I chose to film with Panavison’s anamorphic G series lenses. It was important to provide a bit of counterbalance to that softness with very sharp lenses, such as the G series. I love when I get to film with Panavision lenses, because I think they offer a very broad palette in terms of anamorphic or spherical filming in function of your needs. Is the decor of the film extra-ordinary? 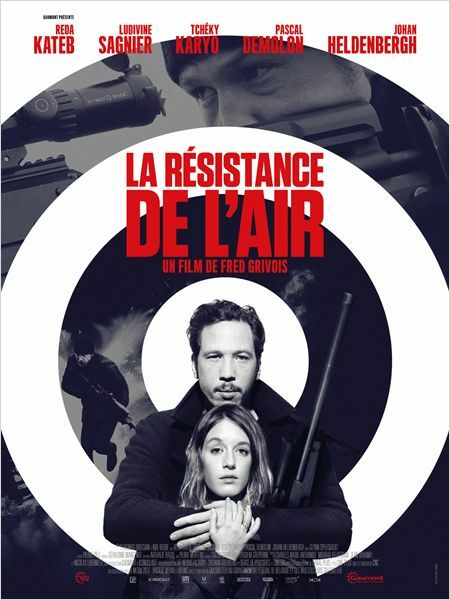 Becaue the Fédération Française de Tir [Translator’s note: French Sport Shooting Federation] did not like the screenplay, we couldn’t shoot in a real shooting gallery… So, the producers found an abandoned factory in Paris that we took over in order to recreate the set. It was great because in a real shooting gallery you don’t have fluorescent lighting for the entire 300m of its depth! That’s part of the magic you can give to a set as a cinematographer, without it necessarily being noticeable! The rays of light suddenly give perspective to the place and a radically different ambience than what we had picked up on during scouting. It was naturalist, and yet unreal… that’s often how I try to work the lighting on my films. What tools did you use on set? I come from the 35mm generation. So, I continue to use my lightmeter on sets, even when I’m filming with an Arri Alexa XT Raw, as I did on this film. Another important accessory in my toolbox is a Transvideo monitor that I use as a spotmeter, and that I use as a reference. And nowadays, the DIT plays an important role in helping me prepare looks before and during shooting. Like on the film “At the Beginning” which was the prior film I shot with him, the screenplay was an adaptation from a true story. “Marguerite” was the worst opera singer in history (inspired by Florence Foster Jenkins) and is the main character, played by Catherine Frot. Once again, it’s the story of a great lie, because everyone knows that she can’t carry a tune but nobody dares to tell her! For this movie, I first felt that Xavier wanted to film in black-and-white… then I discovered a photo of Coco Chanel taken by George Hoyningen and published in French newspaper “Le Monde” during a long-haul flight. I said to myself that I could recreate a sort of black-and-white with touches of colour, like the lipstick that really pops on that photo. I did some research into the question and found another book of photos baptised “Cappa in Color” which helped me attain that sort of black-and-white with very little colour. Was the lighting more “vintage”? The film was lit with a lot of contrast. 18kw lights that wouldn’t get through the windows of the set in Prague… Whites that literally explode on screen, and very dense blacks. As for the lenses, I also did research into what photographers used at the time… and then via discussions with Panavision in Los Angeles, we organised a series of tests with a large portion of the very rich line-up of lenses that they have over there. In the end, we opted for an anamorphic C series in an uncoated version. These are lenses that create flares everywhere on 80% of the film. Only a few shots were filmed using the “normal” C series, and everything was shot with an Alexa XT in 4/3 Raw. Where did shooting take place? The film was shot in Prague from mid-September to early December 2014. Many things were done inside of a castle, but there were also sets in operas and others outdoors in the street… All of the crew was Czech, but I was able to bring Michel Galtier, my focus puller, and Adrien Blachère, my DIT. It was hard for me to imagine shooting in digital without my own crew. You always manage to adapt more or less to the local crews for the grip and the lighting, but camera management has become such an important element of shooting. It’s one of the keys of the modern chain of production of a film. 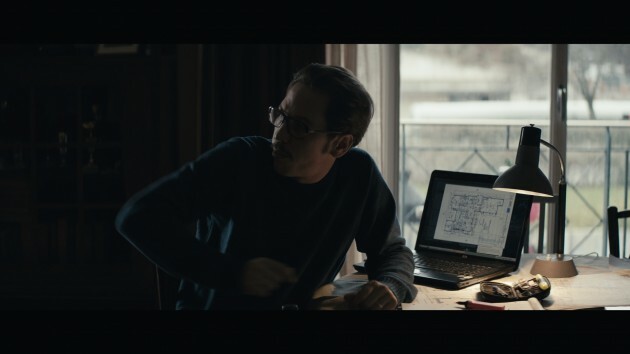 By working upstream with Adrien on the looks, we saved a lot of time during shooting, and especially 6 months down the road when the film was being finished, we were able to rely on the work that had already been done to colour time the film. Do you still have to colour time the film? Yes! Of course, we need a colour timer who will splice and modify the ambiences according to the editing choices and the musical illustration… They’re the ones who finish the work and bring a lot of care to what they do. Marguerite was colour timed by Magali Leonard of Mikros, and Isabelle Julien of Digimage colour timed “Through the Air”. But the work on set seems to me to be one of the most valuable elements of the digital production chain. Neglecting it due to the mistaken belief that everything can be fixed later on down the road isn’t, in my opinion, a valid method of working. What else changed for you due to the Alexa? Its sensitivity of course changed things. 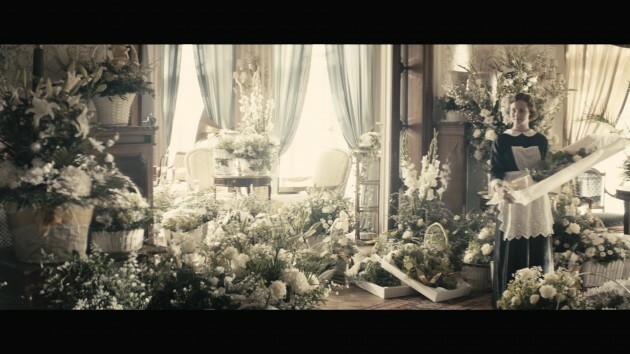 On “Marguerite”, I would light some of the indoor shots with just a 200W tungsten bulb. With 35mm, you might have been able to do that, but you’d have to push the film stock to its limits… or by creating a system that would let you use a much more powerful bulb that would get incredibly hot… Now, outdoors at night in the city, we often spend more time getting the light sources turned off rather than adding more! It’s now about creating shadows more than about creating the lighting. But whatever the tool, digital or silver-process film, you’ve got to dare to make choices during shooting. The fact that now you can see the results immediately ought not to scare us. You’ve got to overexpose a background if necessary, or leave another part in the darkness… It’s not because you’re able to see everything right away that that should change your decision making process, it should just simplify your work and make the process faster. That’s all.